Tony Edjomariegwe is a versatile player who can play in several attacking roles. Edjomariegwe joined Shooting Stars FC in April 2012, during the mid-season transfer window and has fitted in well, scoring three league goals and playing regularly. Edjomariegwe is a player with good height and strength but he is also surprisingly skillful. Austin Ekpoma is having his best ever season in the Nigeria Premier League, already having seven goals to his name. 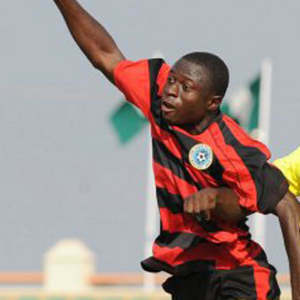 Ekpoma is the playmaker of Gombe United FC, perhaps at his best behind the strikers. Bright Esieme has been one of the revelations of the season at ABS FC and the athletic youngster has attracted several bigger clubs in the league. Esieme is dangerous from set-pieces and has so far scored two goals in his first ever season at top level. Musa Mustapha is a tall, elegant defensive midfielder or central defender who works hard, wins a lot of balls and is strong in the air. Due to his powerful headers, he is dangerous whenever he gets in front of goal. Mustapha has scored three goals in the last five matches. Tony Opkotu of high-flying Lobi Stars FC is one of the most hyped players in the Nigeria Premier League. Okpotu, who can play as a main striker, support striker or attack from the flanks, came through the youth set-up of Lobi Stars FC before the Nigeria Premier League 2010-2011 and became an instant success. The current season has been a breakthrough and Okpotu, a burly, skillful and hard-working striker, has seven league goals to his name at the time of writing. He was recently named in the squad of the Flying Eagles, the Nigeria U-20 national football team. The picture, found on SuperSport, is of Okpotu.